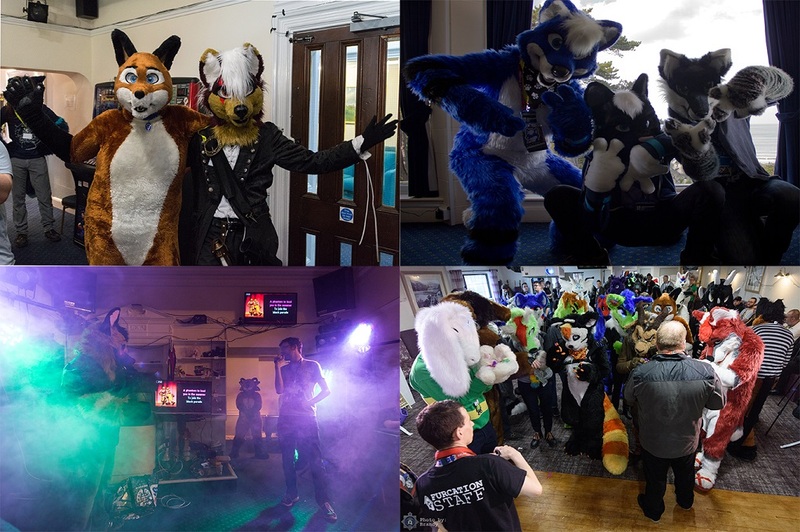 Furcation is all about having fun and socialising with your friends. Our entertainments team also run events during Furcation to make the most out of your time with us. Think of these as 'events inside the event'! We also don’t follow convention norms, we have gaps in our timetable so you can spend the time with your friends and so that our events don’t clash with each other. We also have one golden rule for events at Furcation, which is “No fursuit, no problem!” Even if we advertise the title of an event as ‘fursuit’, absolutely ANYONE can join in. We want this event to be open to all. Also, learning from previous years, we are going to publish two timetables this year, because it's November and it will potentially be cold and dark pretty quickly! One will be a 'Good Weather' timetable. If we have sunny, or at least relatively dry weather, we will run this timetable. The other will be a 'Bad Weather' timetable. If we have a lot of wetness, we will run this timetable. We will communicate which timetable is in use via Social Media and information boards during the event. The list of events will be announced soon when they are finalised.